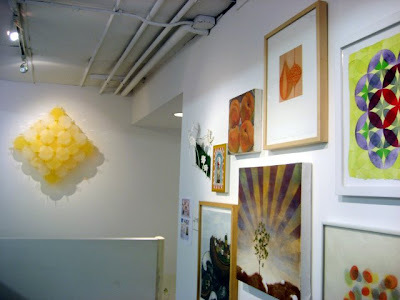 The pictures you see here are from the Stayin' Alive auction at Metaphor Contemporary Art in Brooklyn. The auction, which benefits the exhibition program at the gallery during these hardscrabble economic times, features the work of many artists who have been involved with the gallery. First, a disclaimer: I've donated work to the show. Second, a comment: I want them all! OK, so that's not going to happen, but I have been bidding, and so have others. As I understand it--and the auction site will explain it better than I, after the online bidding closes, there will be a live auction on Tuesday night, at which time--I think--work will be taken home by the lucky winning bidders. I talked about this project a month ago in the context of other galleries that have come up with interesting, and often interactive, ways to keep their doors open. The installation pictures you see here are shown clockwise from the front door, starting from the image above that opens the post. Tell me: is this not a fabulous installation? Artists are identified on the auction website. 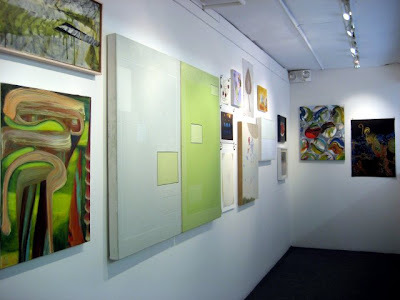 Here there are works by Loren Munk, Matthew Deleget, Julian Jackson (a co-owner of the gallery, with Rene Lynch), and Gabriele Evertz. Can you find my small square red painting in the picture above? All valid questions, Anon, but as I said in the post, one picks one's causes. I picked mine. Did you visit the site? Did you read about the project? 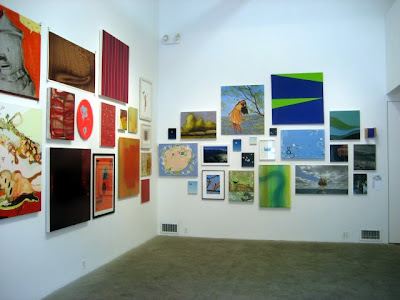 Did you read my post about what other galleries are doing to stay alive? (It's linked in this post.) These are difficult times for artists and dealers--and we are all in this together. As the artist-owners and curators of Metaphor contemporary art we feel that the above reader’s comments can not go unanswered. Our tax man can tell you that we have never been anything but non profit, unofficially, so far. We have functioned much the same way as Kentler Drawing Center, another artist run Brooklyn space did for 14 years before they got their official non-profit status. We are active artists ourselves, started Metaphor on our own dime, and we were neither born wealthy nor are we now. We make our living from sales of our own art work and not from Metaphor sales. Metaphor has done great work for artists... jump starting careers, reinvigorating careers and introducing many wonderful artists to a broader public. 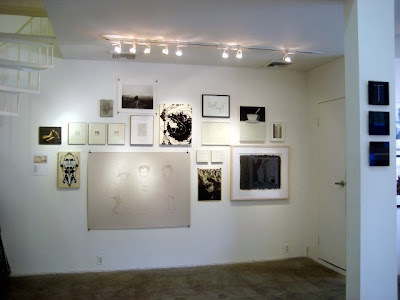 Over the years Metaphor has become known as an incubator for talent inspiring an artist to feel the freedom to create a special new installation or series, often times their first major NY show. We have hosted many artists’ talks and panel discussions. 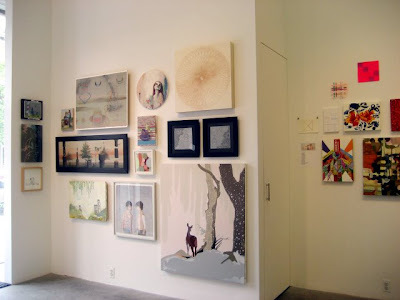 We have always endeavored to present a museum quality experience on a shoestring budget through lots of sweat, energy, respect for art and artists, and good will. And though we have sold artists’ work, Metaphor’s proceeds have never even paid its own rent much less a salary to us. We have had some good years during which Metaphor helped to pay it’s operating expenses; covering the electric bills and website, advertising and the wages of our assistants, but sadly in the current economic climate that is no longer happening. Metaphor is truly and most of all a labor of love. However we can no longer afford to continue to funnel money from our savings to keep it going. Our programming has always been what we believe in, regardless of commerciality and will remain so. Thanks for the great pictures Joanne. I'm glad you responded. 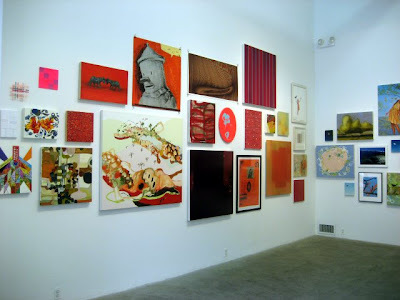 It's a reminder to artists that just as we artists are not all Damiam Hirst, dealers are not all Larry Gagosian.